Welcome to Poteau, a city of about 9,000, recently named one of the best 100 small towns in America in which to live. Poteau is the county seat of LeFlore County in extreme eastern Oklahoma. Poteau is in one of the most beautiful sections of eastern Oklahoma and the county seat of LeFlore County is a growing, bustling city with an eye upon the future and with a historical heritage few other communities can match. Various races of men have known the region throughout the centuries. Mound Builders, between 500 and 1300 A.D., built their temples and burial places in what is now the Spiro area and northern LeFlore County, and roamed southward into the mountainous regions of south LeFlore County. Mayan Indians pressing up from Mexico and Central and South America, clashed with the Mound Builders hundreds of years ago. In 1719, the French explorer Bernard DeHarpe, led an expedition to the Poteau area. The French left such an imprint that evidence of their visits still remain; in the names the they gave to the mountains, streams, and towns; as in Leflore. There were none but Indian inhabitants until about 1875. Although, there were only five or six families located here, they had a school. It was a small log house, with earth floors and boards laid across the sleepers for seats. The modern Poteau, however, has its origin in 1885, with a few houses and Bud Tate’s general store. Incorporation of the town of Poteau followed on October 8, 1898. This same year the first public building, a school, was constructed of native stone – the building having been erected through the contributions of the Poteau residents. By 1904 more room was needed. A small wooden building was erected on the north side of the rock building. By 1906 still more room was needed. This time bonds were voted and a two story brick building more than twice the size of the rock portion was added. This was the first free school in the Indian Territory. The first Poteau post office was established in 1888. Federal court was moved to Poteau from Cameron in 1900, and in 1903 activities of the town largely centered around this court, The Kansas City Southern and Frisco railroads were both running lines through the town. December, 1905 the original government town survey contained 640 acres. The Bank of Poteau was established in 1901, and in 1904 was nationalized. That same year the First Bank of Poteau was established in 1901, and in 1904 was nationalized. That same year the First Bank of Poteau was organized and deposits of each were estimated at about $50,000. The Amos Handle Fac tory was one of the most thriving enterprises during the early part of the 1900s while The Poteau News, first published in 1895, had a subscription list of about 350. The telephone company was granted a franchise in 1904, followed shortly by electric lights and a water works system in 1906. In 1910 one of the first natural gas wells was discovered. In 1903 the Witteville Coal Mine was operating near Poteau and, although that mine was abandoned, several others were opened and contributed large payrolls to the community for many years. In 1905 Poteau was the first town in the Choctaw Nation to establish a system of public schools. The school board supported by the citizens, built in 1898 a handsome building on a convenient and commanding site of six acres lying between the Kansas City Southern and the Frisco Depots. 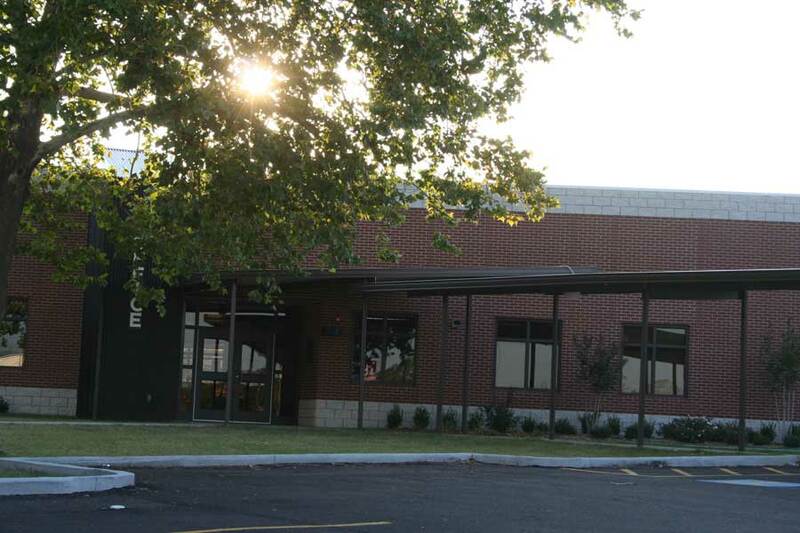 The people of Poteau, without issue of bonds government aid, contributed from their private means a sum sufficient, that together with the school board borrowed from individuals to construct a modern stone building at the cost of $8,000. The rock building being inadequate to accommodate the growing population, a one-story wooden addition was added to the north side. August 5, 1909- The school board met and transacted some important business. Upon investigation it was found that enough African American children resided inside the city for a free school. The law demanding only eight and there being seventeen. Poteau, a French word for “post”, is located on the banks of the river bearing its name. Nestled in the broad, fertile Poteau River Valley, Poteau is a progressive, friendly city with an eye upon the future and with an historical heritage second to none. Today, economic development, food processing, plastics, lumber, agriculture, cattle, coal broiler production and tourism are important industries. Poteau was a city loved by the late United State Senator Robert S. Kerr. He built a magnificent home here and invested money in a great ranch and in cattle. He invisioned Poteau as a major city with the opening of navigation on the Arkansas River. He pointed out to Poteau residents that the Poteau River, with its mouth on the Arkansas River at historic Belle Point in Fort Smith, could be made navigable to the city of Poteau. The Kerr Museum, housed on the grounds of the natural history of the area, including Indian artifacts, material dealing with the famous Runestones, artifacts from the Spiro Mound complex, and articles used by Oklahoma and western pioneers in the building of the Indian Territory of the Great West. The museum contains a collection of more than 300 types of barbed wire. In 1978 the mansion was donated to the Oklahoma State Regents for Higher Education. The museum was left intact and is open to the public. The mansion is open year round as a bed and breakfast/conference center. Poteau is located southwest of Fort Smith, Arkansas, 130 miles southeast of Tulsa and 198 miles southeast of Oklahoma City. Poteau is almost completely surrounded by mountains. Looking eastward across the Poteau River, one can see in the distance the famous towering Sugar Loaf Mountain Peak. On the southern horizon can be seen the Winding Stair Mountain Range, the foothills of the Kiamichi's where Talimena Scenic Byway is located. Immediately on the west is Cavanal Hill. In 1921 another expansion of the schools was needed; therefore a new high school was constructed. Yet, in 1937 this to was inadequate. The gym was also constructed at this time.